Fender Music Australia's newsletters and bulletins include updates on new Fender products, local music events, artist news and other material we think you'll find interesting. The information is tailored specifically to Australian residents, and is aimed at Fender players, musicians, and fans of guitar music in general. Send me everything you've got! We respect your privacy. 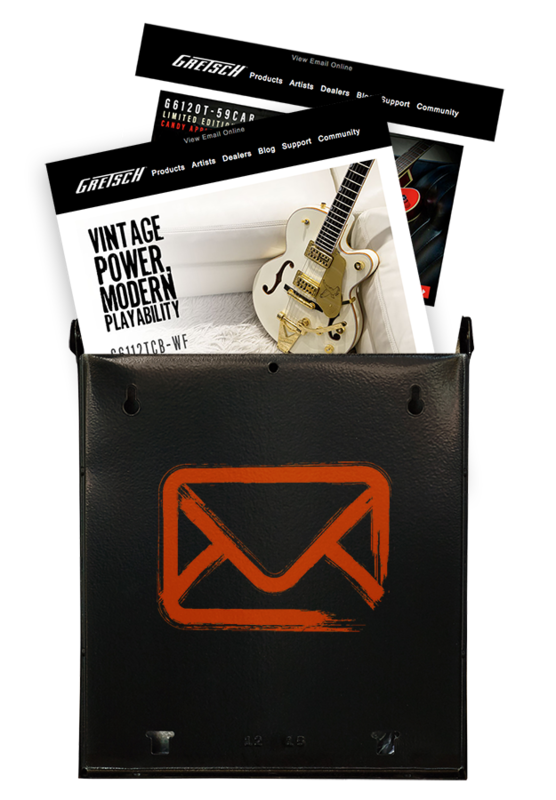 Your email address will only be used to send you the Fender Music Australia's newsletter and updates about the subjects you're interested in, and to tell you about occasional special offers. We will not sell, rent, share or reveal your email address or other personal information except where required by law. If you'd like to change your email preferences, including the selection of material you'll receive, please click on the presonalised "manage your email preferences" link in the emails you receive. If you want to unsubscribe from all Fender Music Australia newsletters and bulletins, please use this form.